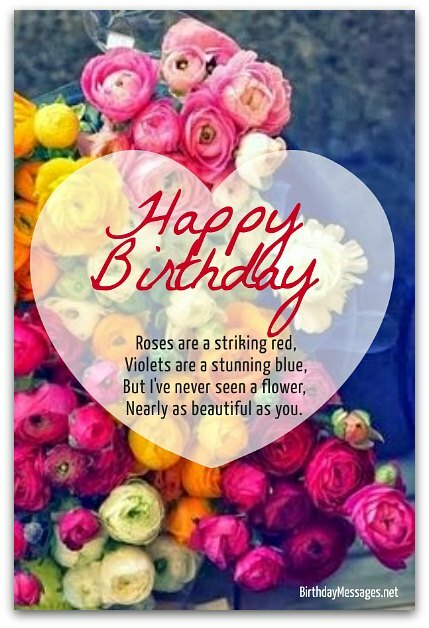 The best cute birthday poems, like the ones here, have birthday messages that can appeal to anyone, even people you wouldn't expect to like anything cute. 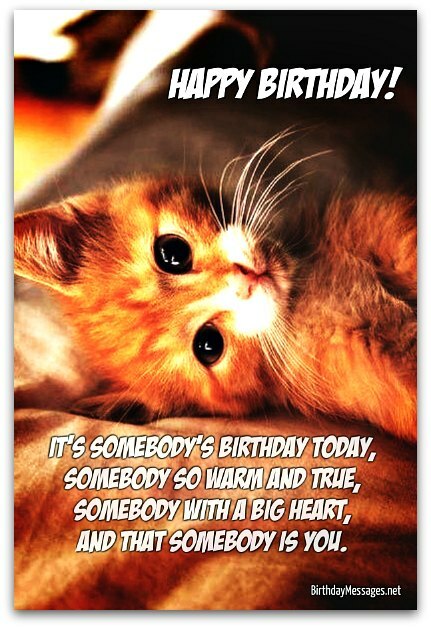 But you will need to determine the right dose of cuteness for you (since you need to like the birthday message you're going to send) and the birthday boy or girl (since too much cuteness tends to turn off certain people). My advice for picking a winner? Just trust your inner cuteness barometer — it will tell you how much cuteness is the right dose. And give you a huge kiss. Nearly as beautiful as you. Add up to a wonderful day. And make today truly blessed. And that somebody is you. Let’s get out all the wine. There's nowhere else I'd rather be. There’s just no point in feeling bad. All the very best for your birthday.